Essential medicines are indispensable for improving the health and saving the lives of people who need them. However, to be fully effective, safe, available, and affordable, medicines must be correctly prescribed and appropriately used. Achieving these benchmarks requires a strong, responsible pharmaceutical system that works within and in support of a functioning health system. 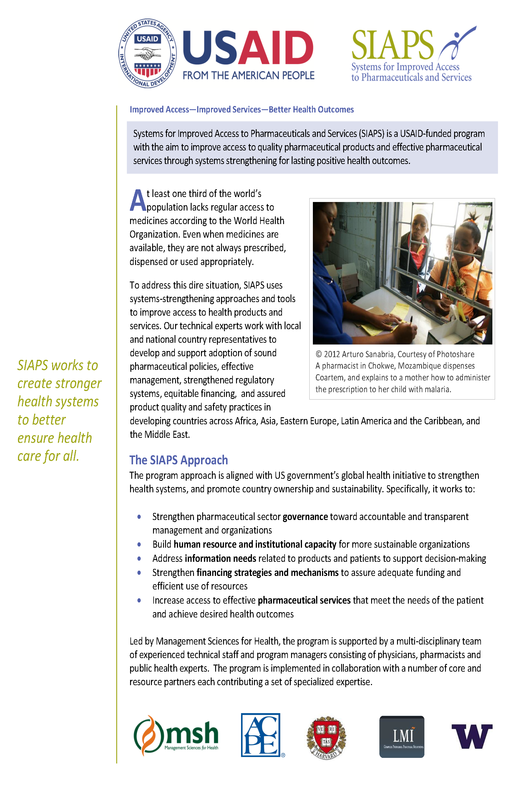 From 2011 to 2018, the USAID-funded Systems for Improved Access to Pharmaceuticals and Services (SIAPS) Program, implemented by Management Sciences for Health, worked with local counterparts and partners in 46 countries to comprehensively strengthen pharmaceutical systems by addressing five interrelated health systems functions—governance, human resources, information, financing, and service delivery. 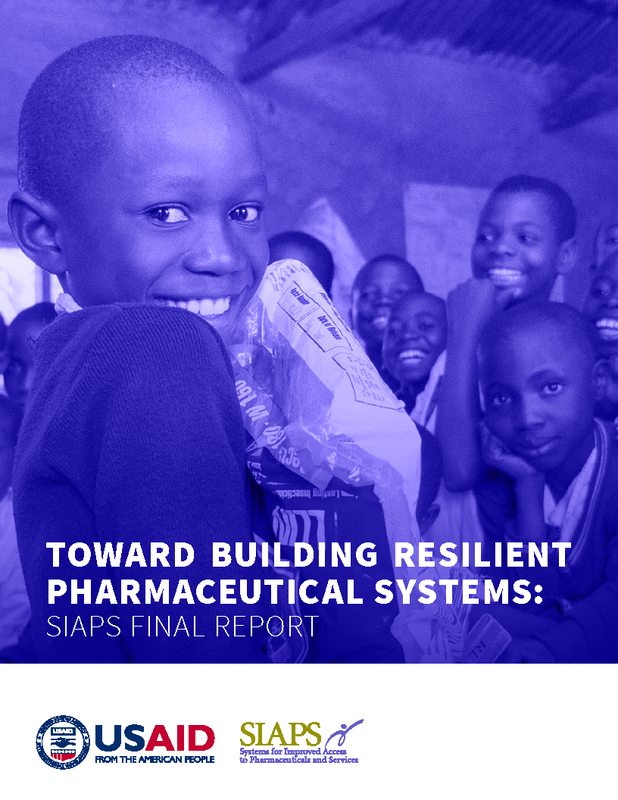 The SIAPS pharmaceutical systems strengthening approach ensured equitable access to and appropriate use of effective pharmaceutical technologies and medicines and availability of a wider range of these products, ultimately improving health outcomes. The program’s technical assistance strategies included critical health areas such as family planning, HIV/AIDS, malaria, maternal and child health, tuberculosis, and neglected tropical diseases. SIAPS also supported responsive, resilient pharmaceutical system performance in the face of potential and occurring epidemics.